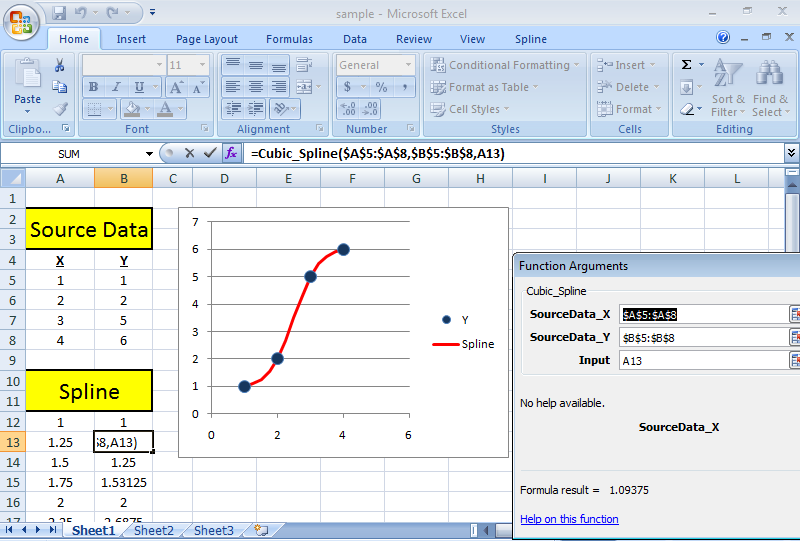 This is free software that adds several spline and linear interpolation functions to Microsoft Excel. It is simple to use because the new functions work just like all other existing Excel functions. Spline functions include cubic spline, bessel spline, and ‘OneWay’ spline (which is a monotonic spline). The new functions can be used for data analysis, forecasting, and many other applications.